In summary, 2008 has been a very mixed year for the Cooper family here in Derby. It started with Phil being made redundant at the end of January by ZEDA Ltd when they went into Voluntary Creditor Liquidation, then securing a job with one of ZEDA’s competitors, only to be made redundant again at the end of June just a few days before we were all due to go away to Lanzarotte for a family holiday. As the holiday was all paid for we went anyway – that being Phil, Sue, Andy & Mark and both their girlfriends. Yes, the boys are into steady relationships and yet wanted to holiday with mum & dad, so we had booked separate apartments in a complex just off the main beach strip. Yes, we watched the pennies, but, a good time was had by all and we returned relaxed. For Suzie, the low point of the year was having to have Sooty put to rest aged 17½ years old. He had one or more tumours and was too old to operate on. Jasper (our other cat and 8 years old) has switched from being a wild thing into being a right softie, completely filling the vacuum left by Sooty. She’s had a bit of a rough year at work with a “grievance at work” procedure being instigated against her, getting dragged out as management tried to cover up their failures and finally cleared up when Sue was finally described as “an exemplary manager”. Her team has stood by her through all this and in that respect the year is ending well. In September she had a “make over” and photo session at a posh place in the centre of Birmingham. This was a birthday present from her sons and she took her friend Carole with her for a day of pampering, hair colouring, massage, make-up and champagne. 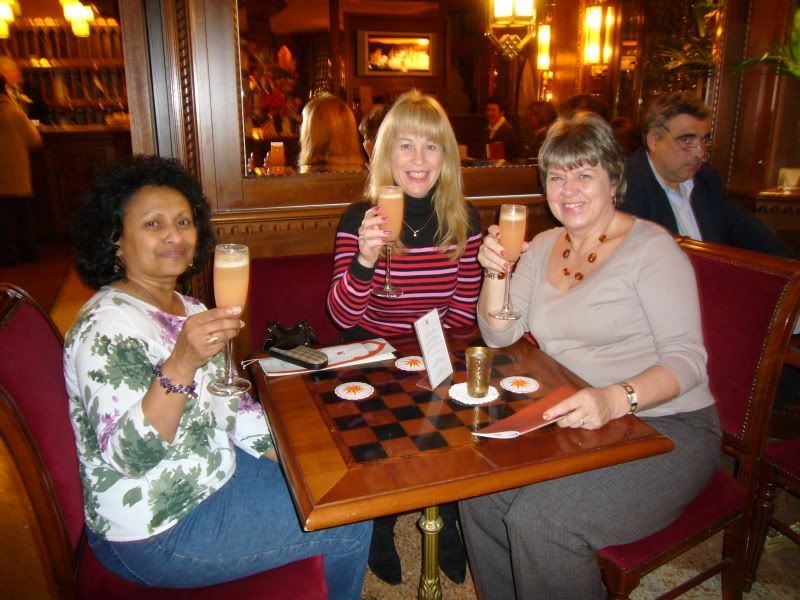 Then last Friday (5th Dec.) she and a couple of girlie friends (Carole and Anne) flew out to Venice for a 3 night weekender break. She was really worried when the BBC news reported flooding in Venice on the Monday at the start of the week, but, she need not have worried, everything was fine and the locals said that the flooding had lasted 5 hours. Fortunately her earning are keeping us afloat during this time as Phil struggles to find work, and Christmas this year is going to be a low key affair simply because of the financial situation. Andy was 21 this year. 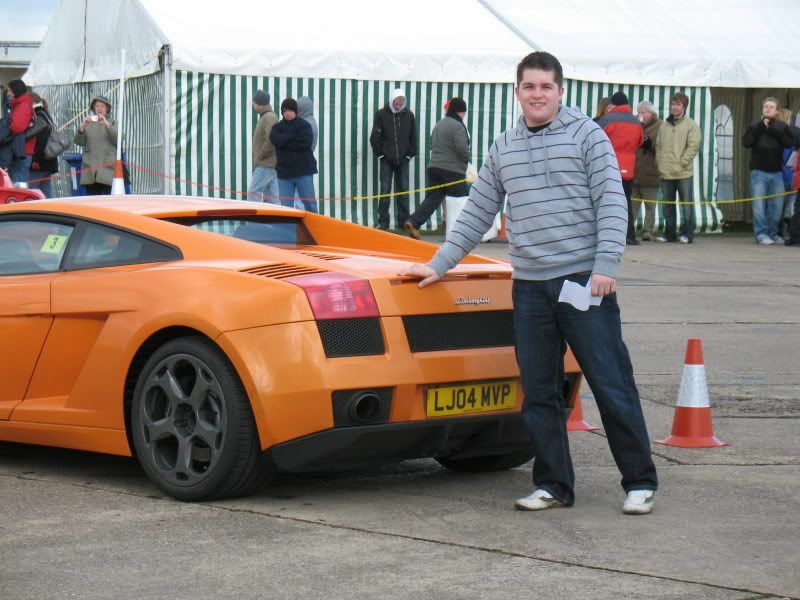 His girlfriend bought him a “driving experience” and he chose to drive a Lamborghini Gallardo at Bruntingthorpe. This now joins the list of driving experiences that he has now driven: a Lotus Elise at Rockingham and a Ferrari 360 Modena at Three Sisters (near Wigan). After passing his driving test at 17 he had bought, maintained and driven a 1.2 Vauxhall Corsa 3 door hatchback, but, this year he decided that after his birthday it was time to move up to something a bit more powerful. After some searching he is now the proud owner of a black Honda Civic Type-R which he is pampering back from good to excellent condition – replacing the non-standard parts fitted by previous (cost cutting) owners. Mark has passed his driving test at the second attempt, having failed the first one before he got out of the driving centre. He finished his first year at Nottingham University (where he’d been in halls) with a score that means he is on target for a first at the end of the course provided that he maintains his focus and attention through to the end. In October he completed his 2 years on a restricted motorcycle license so that he can now ride any motorcycle he likes ( takes after his dad). 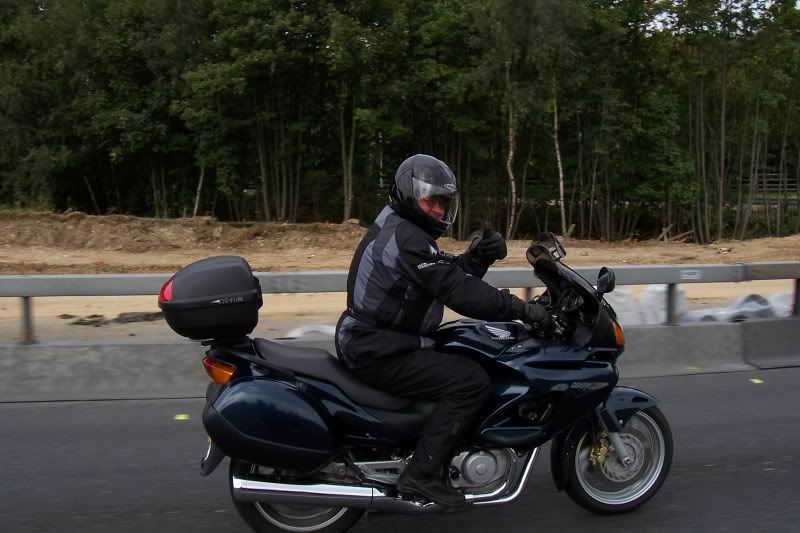 He’s still riding a 400cc Suzuki Burgman maxi-scooter because it does everything he needs and is affordable for him in his situation, and it saves Phil from being “dad’s taxi” all the time. This year he is commuting to University from home either on his scooter or with his friend Sonny in his little Nissan Micra. They went to Landau College together and are both studying for a maths degree at Nottingham with many tutorials where they both attend. 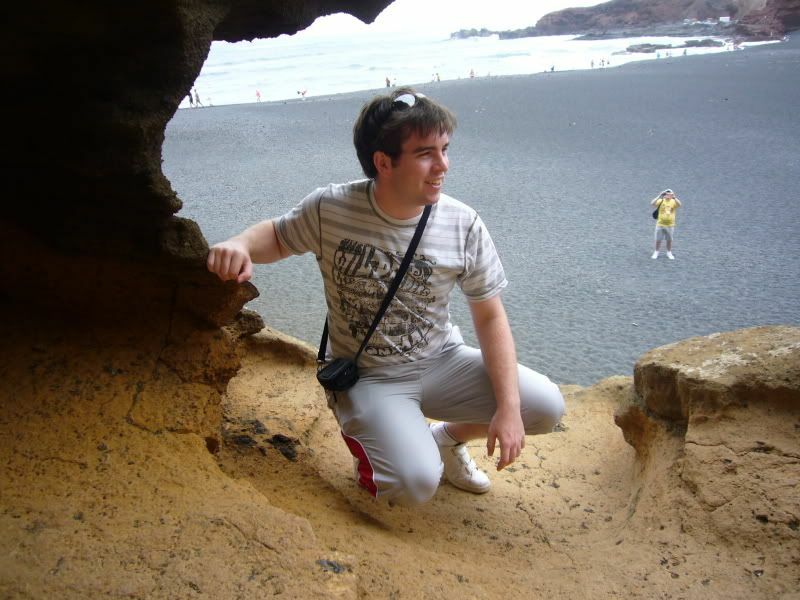 In his spare time he has learnt to play acoustic guitar and continues with his interest in computing and sport. Obviously, Phil being made redundant and unable to find another job has hit the family hard. Days are spent searching out possible opportunities, which means hours scanning the web, sifting through email job alerts and sending off his CV to register an interest in anything that is within his skill set and fits with his past work experience. Sanity is maintained by taking the occasional ride on his motorbike which gets used whenever feasible to save the cost of running his car, which would have been sold by now had it not been for the economic downturn of the country killing off demand. With time on his hands Phil has recorded his experiences on a blog Click here , the ups and downs of job hunting, and he has started to redecorate the entrance hall and has taken on most domestic chores from Suzie who is now the breadwinner for the family. Health has been the other issue that Phil has had to content, still not discharged by the local hospital after his bout of sarcoids that marred the end of 2004. The up side has been that the sarcoids treatment is that it appears to have shaken off his asthma, but the down side is that in April he was diagnosed as Diabetic type 2, which means that he has to take some pills and watch his diet. Apart from the odd sniffle and head cold everybody else has stayed healthy. As far as the extended family is concerned. Angie and John visit from Colchester on a regular monthly basis. Angie too has been made redundant and is struggling to find employment. John works in construction but the firm he works for seems to be weathering the downturn in the construction industry better than many. He’s seen workmates laid off and overtime working banned, but, work goes on. November saw Christine pay us a flying visit from her home in America, just days after the new president was elected. As a regional sales manager she’s seen the sales in her region drop by $1 million in the first half of the current financial year, but, her firm has avoided redundancies by managing natural wastage and sticking to basic hours working. Sue’s parents continue their retirement in a subdued manner, her dad still drives despite our attempts to persuade him to give it up , his legs aren’t good and he is an accident waiting to happen, while her mum had a gammy knee earlier in the year which was close to having to be operated on, but with care and physio that has so far been avoided. Phil’s dad had 2 spells in the Helen Lay Centre respite home near Leamington Spa giving his mum a couple of breaks from her full time caring for him. Dad can’t do anything for himself and Social Services provide nursing care to get him out of and back into bed at the appropriate ends of the day. So here in Derby we are all hoping and praying that this finds you well and that our fortunes improve with the coming of the new year. Merry Christmas 2008 from all of us to all of you!